Urban Outfitters has really amped up their furniture and home accessories the last few years. They’ve become one of my go-to spots for hip, affordable pieces; particularly for teen and tween bedrooms. Recently I was perusing their web site and was reminded of all the great seasonal goods they also sell. I came across some perfect accessories for Halloween (which scarily is around the corner). 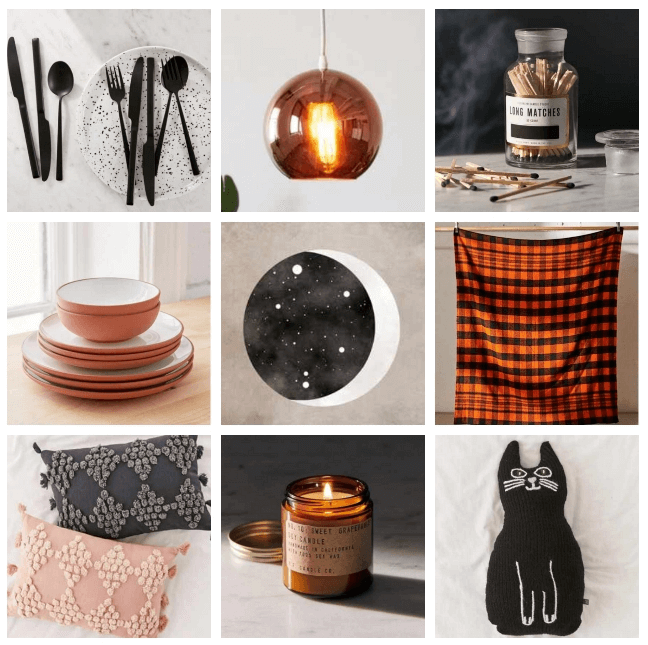 If you’re in the market for some Halloween decor, check out these fun and budget friendly items —all from Urban Outfitters. I like these items enough to keep them out all year-round!